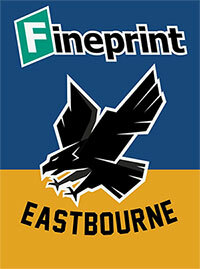 Corporate Connection will be the Eastbourne Fineprint Eagles official merchandise partner for the coming season. The company supplies many businesses that are household names. Its support and sponsorship will also extend to supplying all track staff and officials working at Arlington Stadium for speedway meetings in 2019 with formal branded work-wear and staff clothing. Corporate Connection will also build a new bespoke online store and will be able to quickly supply items to the track shop. 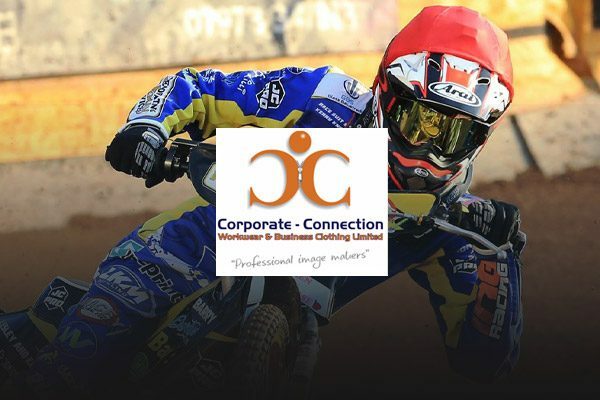 Eastbourne Speedway is in very exclusive company by joining with Corporate Connection. The Midlands based firm’s most recent sporting venture was in creating an exclusive online store with the world famous BRDC (British Racing Drivers’ Club) based at Silverstone, the organisers of the British F1 GP and all Silverstone events. Other businesses in the company’s client list includes DHL, Virgin Atlantic Cargo, H Samuel Jewellers, Molson Coors, Jaguar, Mercedes Benz and Philips. Fineprint Eagles Commercial Director, Ian Jordan, said: “Corporate Connection is all about top quality, top value and a world class service proposition. “That means that you will be able to order your Eastbourne Eagles branded clothing and memorabilia safely, securely and quickly online to be delivered to your home or to the track shop for you to collect. Ian added that the clothing and merchandising supplied by Corporate Connection “will i think be market leading in speedway and the envy of many. “It is our belief that our supporters deserve only the best,” he said, “and I believe we have found the best available”. He also reiterated the commitment that it is the club’s plan and avowed intention to make NO planned changes to club colours or basic logo for the foreseeable future. The new online store will open early in February and a full range of clothing and merchandising will be added between then and the start of the 2019 season in early April. Specialist Speedway lines will also be available from other reputable sources; in The Track Shop, which will include new Sales Shelving and Marketing Aids; supplied by Corporate Connection. Simon Sprason is managing director of Corporate Connection. He first saw speedway in the early 1970s and has been hooked ever since. He has an interest in bikes and has raced Cars in various Formulas, finally retiring from F3 single-seater racing in 1991. He said: “Our involvement with Eastbourne is thanks to a chance meeting with Ian Jordan last year. “We both share the same passion for speedway, along with the desire to see the sport grow and prosper. Early next week, we will have more exiting news. Meet the Management afternoon at Arlington Stadium on February 3 (2 to 4pm) in the clubroom.